> Starboard Astro Converse 9'0"x30"
"A real SUP to longboard crossover." The Astro Converse is a great inflatable replica of our renowned Converse. A proven design acclaimed the world over for its excellent longboard-style surfing capabilities. The extra volume makes catching waves a breeze. 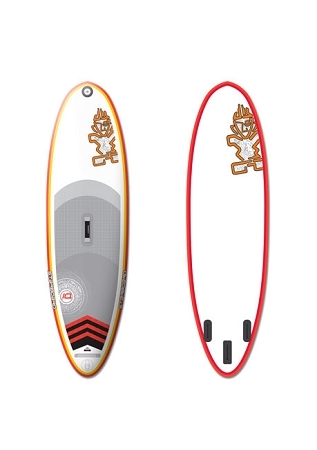 A perfect board for those seeking a quality Starboard product at a competitive price. The value version features a 4” linear drop-stitch core, covered by high strength PVC fabric. State-of-the-art construction using the most innovative techniques and materials that offer quite the sensation of a rigid board. Six-inch linear drop-stitch, covered with high-strength PVC fabric and high-tensile center stringer to offer extreme stiffness and buoyancy.